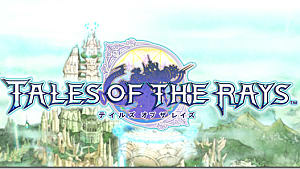 Tales of The Rays was released on February 28 in Japan on iTunes and the Google Play Store, and I like what I have played so far. The latest entry in the mobile game market for the Tales of franchise, this game (surprisingly) plays exactly like the console games in the franchise, such as Tales of Berseria. 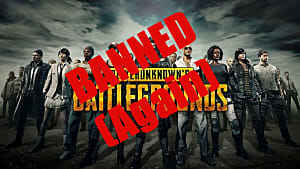 So if you're into the Tales of games, you're going to want to grab your mobile device and check this installment out. 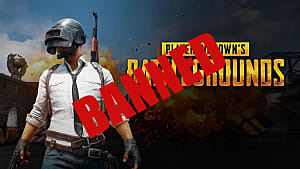 Let's look at some of the reasons why below. The intro of the game. If you are familiar with the Tales of games, you can expect a fighting style built off chaining combos. This is the same in Tales of the Rays as you form a party of four, and you take control of the first member in the group. The game is touch-based, so you'll use the left side of the screen to move your character around. 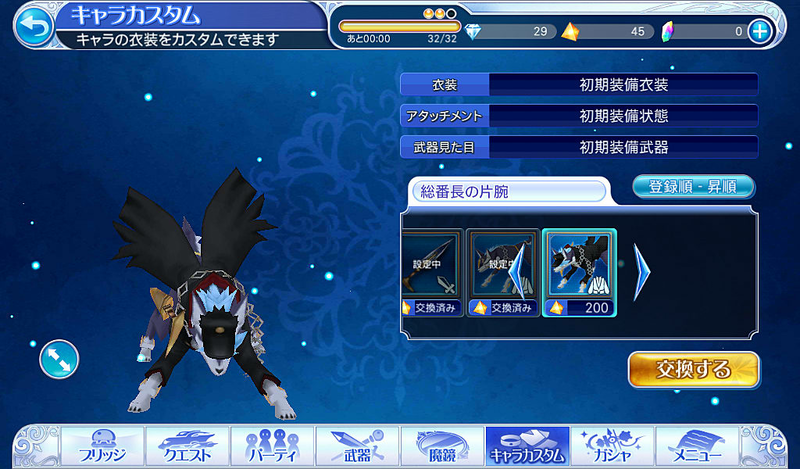 The right side of the screen is used to attack enemies and use your arte attacks. 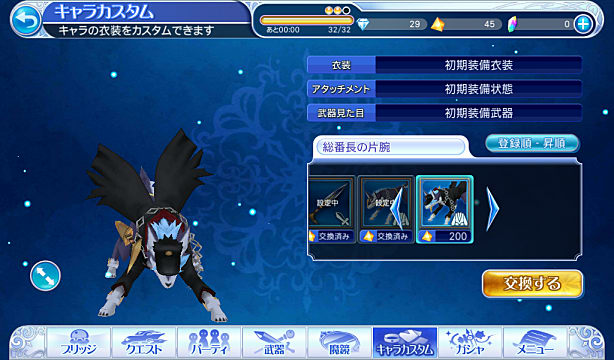 The special attacks in this game are called mirror arte, and can be used once the bar below your character's health is filled up. Once you see this, you'll need to hover toward the character icon and flick upward to activate the attack. 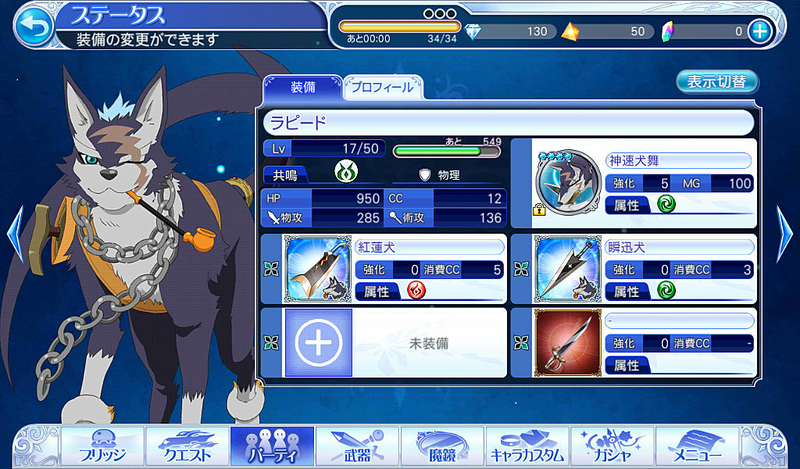 You can play character like Repede from Tales of Vesperia. 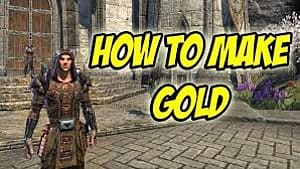 The blue bar signifies the amount of health points your character has, and the yellow bar next to your character icon is the amount of skill attacks you can use. When the bar goes reaches zero, you'll have to wait for it to regenerate to be able to use your skill moves again. The equipment section allows you to equip up to four weapons and one mirror arte portrait for your character to use. 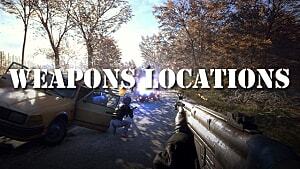 Weapons that are specific to their character enable them to use their skill move during combat. 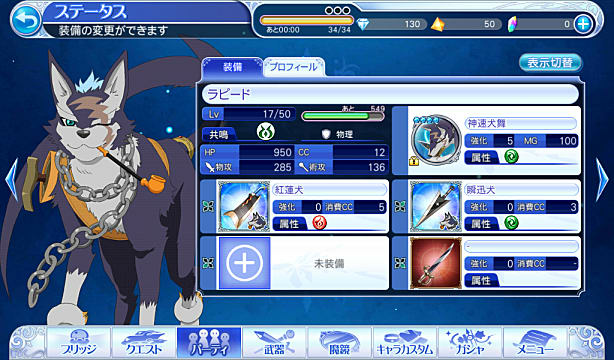 For example, in the picture below, I have two weapons designed only for Repede to equip and this lets him use two different kinds of skill attacks. The character portrait above the weapons section represents your mirror arte. If your character doesn't have one equipped, they will not be able to use the attack in combat. For a game designed for mobile devices, the environment and character models look great. 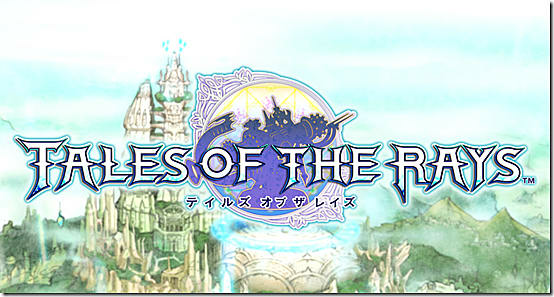 If you didn't know this was a mobile game, you might have confused it as the next main installment in the Tales series. 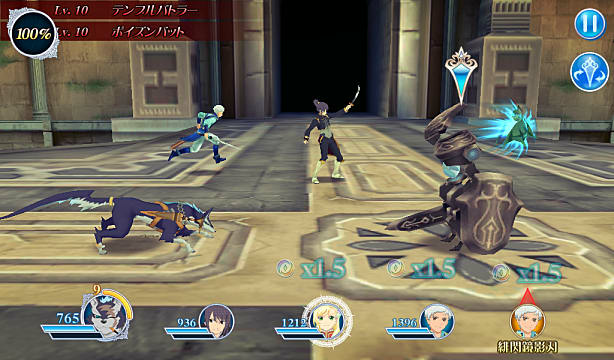 The time I spent playing as Repede brought back memories of the time when I played Tales of Vesperia on the Xbox 360. One of the more interesting additions to this game is the ability to change each character's appearance with different outfits and accessories. There are also weapon skins that will change the appearance of how each of them looks. The currency system for customization is called prism and can be obtained by completing contracts throughout the game. Overall, I'm impressed with what I've played so far, and I can't wait to see what future Tales character are added to the game. 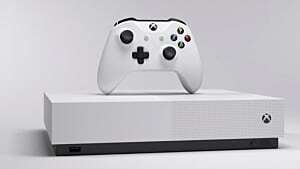 This installment, so far, has brought a lot of what Tales of fans love about the series to mobile devices, which is a feat unto itself. 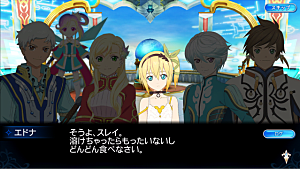 Not only do I hope the developers continue to add more and more great elements to the game itself, I also hope that they'll add even more Tales of games, either past titles or future one, to our mobile libraries.